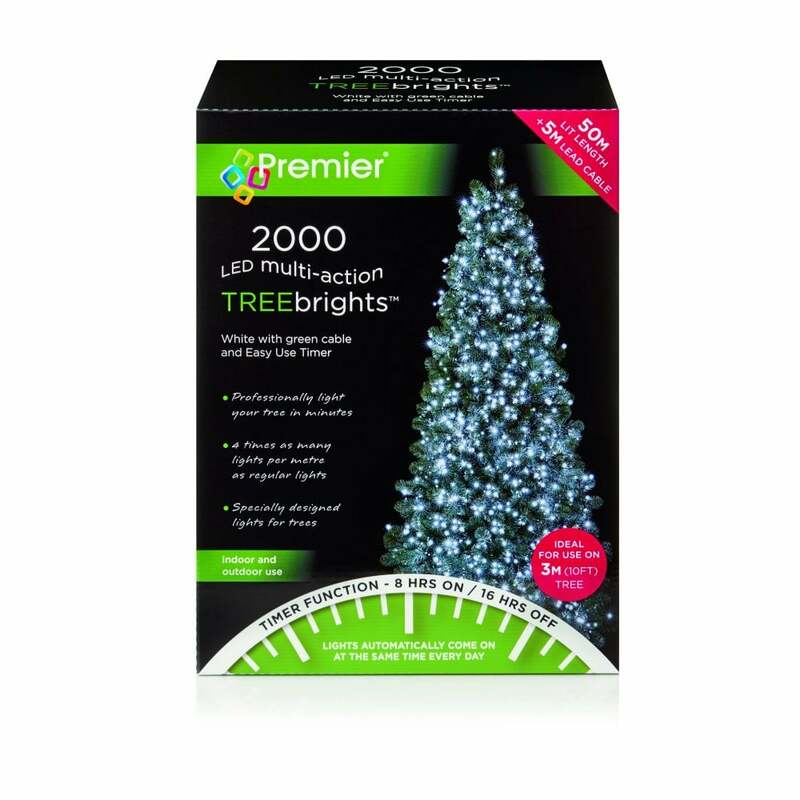 Premier Decorations LED Treebrights light set features 2000 bright white LED's with multi-function control box and memory combination. The sparkling lights will provide an array of illumination for your 10 ft tree this Christmas and provide a combination of light displays in static, waves, sequential, twinkling chasing, steady on, slow glow and slow fade. Also included is a timer function facility enabling your lights to come on for 8 hours then off for 16 hours automatically each day. The product code for this Premier Decorations LED treebright light set is LV162181W. Supabright bulbs are energy efficient, long lasting and durable making this a perfect addition to your Christmas tree. Mains operated and suitable for indoor or outdoor use. Must be plugged into an indoor socket or suitably covered outdoor socket and comes with green cable. Also available in red & green, multi-coloured, vintage gold, warm white and white & warm white mix all of which can be purchased from our website.